Craddock, G., Doran, C., McNutt, L., Rice, D.
Good design is enabling, and each and every one of us is a designer. Universal Design is widely recognized an important concept that should be incorporated in all person-centred policies. The United Nations Convention on the Rights of Persons with Disabilities (UNCRPD) clearly stipulates that the most effective way of delivering on the promise of an inclusive society is through a Universal Design approach. 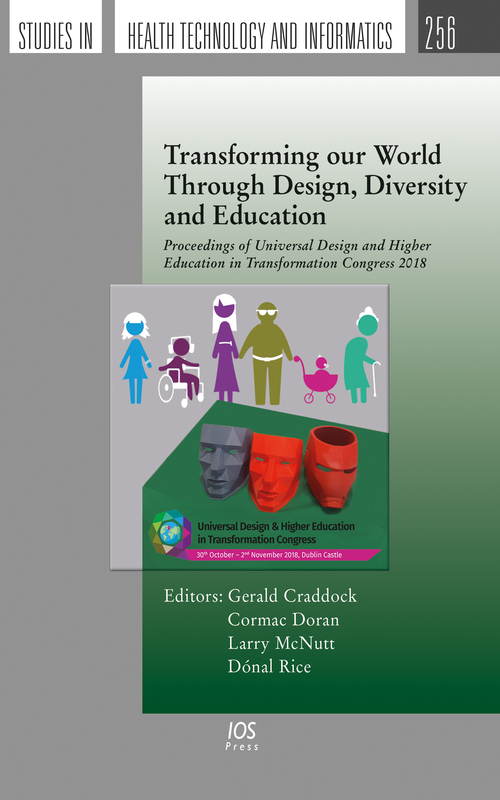 Sitting at the intersection of the fields of Higher Education and Universal Design, this book presents papers delivered at the Universal Design and Higher Education in Transformation Congress (UDHEIT2018), held in Dublin, Ireland, from 30 October to 2 November 2018. This event brings together key experts from industry, education, and government and non-government organization sectors to share experiences and knowledge with all participants. The 86 papers included here are grouped under 17 headings, or themes, ranging from education and digital learning through healthcare to engagement with industry and urban design. Celebrating and integrating all that is good in design, diversity and education, this book will be a valuable resource for all those interested in the inspiring and empowering developments in both Universal Design and higher education. 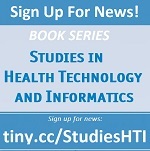 To be notified of new titles in this series, click the visual to sign up for news. Or visit the book series section here.